Ravenswood Primary School Cumbernauld G67 1NR | Teamwork makes the dream work! 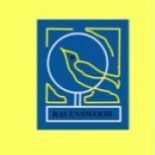 Ravenswood primary is a non-denominational, co-educational establishment providing education from primary one to primary seven. The school was built in 1976 and is semi-open plan in design in an attractive woodland setting. We are proud to be a Health Promoting School and a UNICEF Level One Rights Respecting School. We hope this blog will provide you with a snapshot of some of the work that goes on in our school. Please also follow us on Twitter @RavenswoodPS which is updated daily. At Ravenswood Primary we operate an open door policy and are keen to communicate effectively with parents and carers. We are always looking for ways to involve parents and carers in the life and work of the school. Over the course of the year we offer a variety of ways for you to come in and visit us either formally or informally. A monthly newsletter is issued at the beginning of each month to keep you up to date with what is happening in school. Letters are issued via the pupils about upcoming events and opportunities. We also make use of Groupcall texting as a method of communication. please contact the school office to make a suitable appointment.